The upcoming Test series in West Indies will be the last time we get to see Misbahul Haq and Younus Khan sporting the colours of Pakistan, as both these players will bid farewell to Test cricket after the series ends. The series will provide both players an ideal opportunity to conclude their respective careers on a high note. Misbah has great prospects of becoming the first Pakistani captain to win a Test series in West Indies, whereas Younus is at a hand-shaking distance from becoming the first Pakistani player to reach the 10,000-runs mark in Test cricket. I hope to see both players achieve their respective milestones and end their successful careers with their heads held high. Misbah and Younus, despite all the complications they encountered during their careers, remained steadfast and upright in the face of adversaries and continued to serve Pakistan to the best of their abilities. In 1999-2000, Younus made his Test debut in Rawalpindi against Sri Lanka and announced his arrival on the world stage with a scintillating century in the third inning of the Test match, when Pakistan was striving hard to avoid defeat. He came to bat at number seven and scored 107 runs, making a 146 runs partnership with Wasim Akram for the ninth wicket. 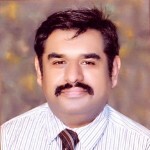 Pakistan lost this match, however, but a man of crisis was unearthed out of this defeat. 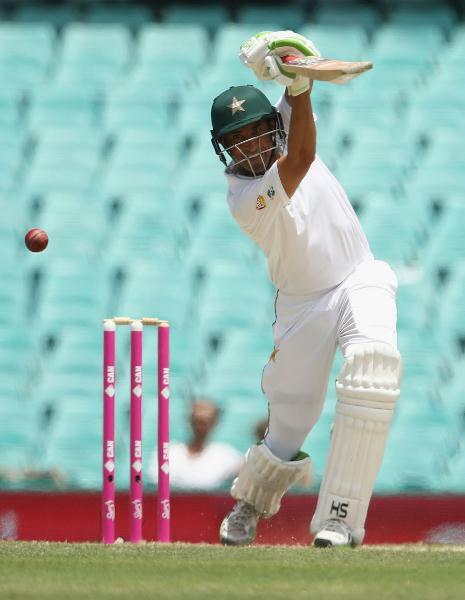 Younus has had the honour of scoring the most centuries (five) in the fourth inning of a Test match, although scoring a century in the fourth inning is considered a difficult task as the pitch tends to break and crack with time. 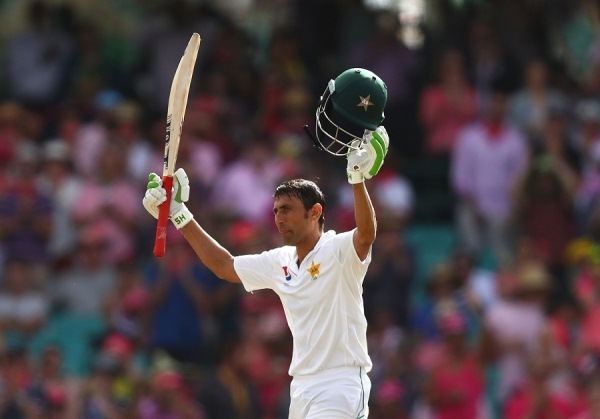 Younus’s mastery as the fourth innings’ specialist can be gauged from the fact that he has the highest average among players with 1,000 or more fourth inning Test runs. These statistics are testimony of the fact that Younus was the real man of crisis for Pakistan cricket during his more than 17 years of serving the country. 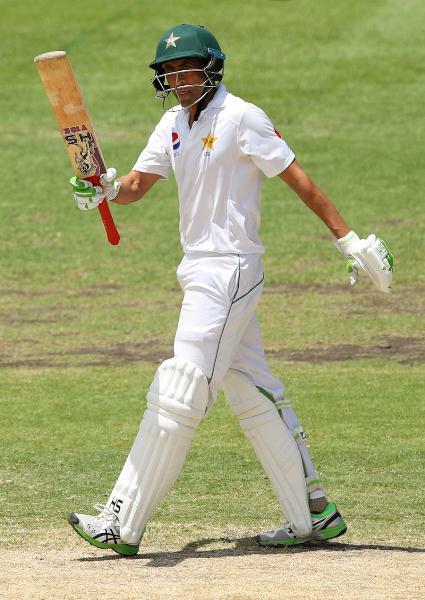 Earlier this year, Younus scored a defiant 175 against Australia at Sydney Cricket Ground to become the only player in the history of Test cricket to score a century in 11 different countries, along with being the oldest Asian cricketer to score a century at the age of 39. In the process, he scored his 34th century, landing him at number six in terms of most Test centuries scored. In his entire career, Younus had the best conversion rate of 50s into 100s among all batsmen in 115 Tests; he has 33 50s and 34 100s while being dismissed only once against New Zealand in Auckland in the year 2001. Younus has also had the honour of captaining the Pakistan cricket team for a brief period where he reached the pinnacle of his captaincy stint by leading Pakistan to lift the T20 World Cup trophy at Lords in 2009. His tenure as captain, however, was cut short due to internal bickering of players, and the Pakistan Cricket Board (PCB) opted to appoint a new captain instead of firmly backing Younus. In my opinion, this served as a stepping stone for the spot-fixing scandal which damaged Pakistan cricket during the England tour in 2010. After making his debut in Test cricket in 2001, Misbah was dropped from Pakistan Test team in 2003 only to make a comeback after a gap of four years. 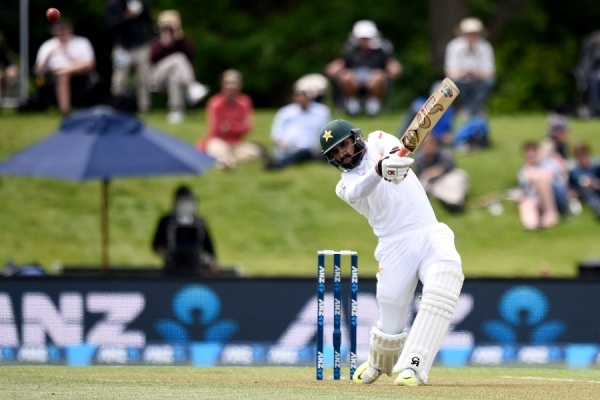 Despite all the obstacles in his Test career, Misbah cemented his place in the Test team with two crucial centuries that he scored during the 2007-08 tour of India. Misbah was dropped from the team again after the 2010 tour of Australia, but this time he made a comeback only after a gap of 10 months and that too as skipper against South Africa. 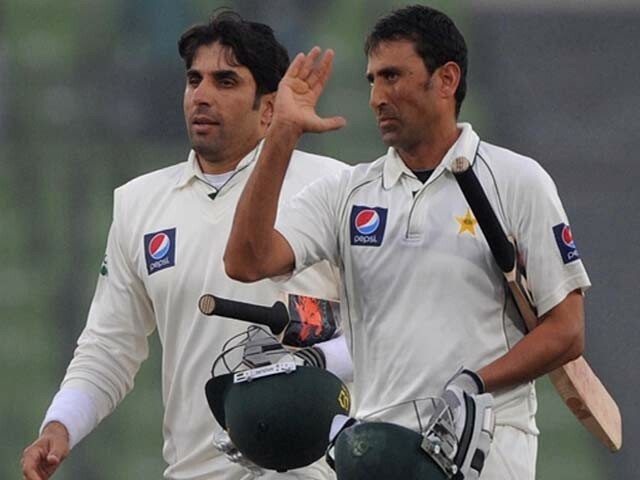 The first Test under Misbah’s captaincy played against South Africa at Dubai International Cricket Stadium laid the foundation of a strong Misbah-Younus partnership and thwarted a certain defeat through their 186 runs partnership in 57 overs. Misbah was also named ODI captain in 2011. To date, he is the only Pakistani skipper to win an ODI series against South Africa, the only Asian captain to beat South Africa in an ODI series in their homeland, and the only captain to lead the team to victory over South Africa in a World Cup match. 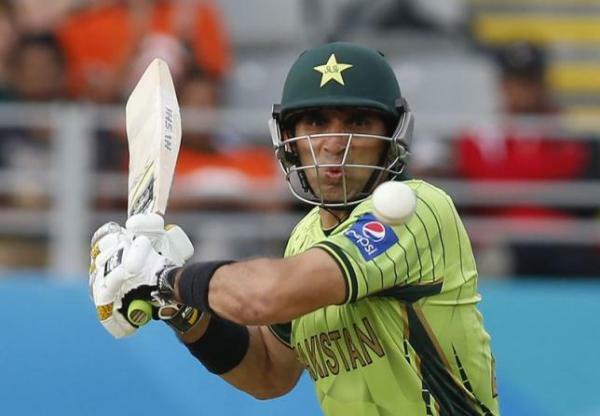 Misbah retired from limited-over cricket after the 2015 World Cup but continued to serve Pakistan as a skipper in the longer version of the game. Pakistan cricket team was languishing at the bottom of ICC rankings at the time Misbah took over captaincy, but with sheer hard work and dedicated leadership, he was able to bring Pakistan to number one in the ICC Test rankings in 2016. The high points of his captaincy, in my view, were the series when the Pakistan team whitewashed England in 2012 and Australia in 2014 respectively, where Misbah equalled Sir Vivian Richards’s longstanding record of scoring the fastest century in the history of Test cricket. 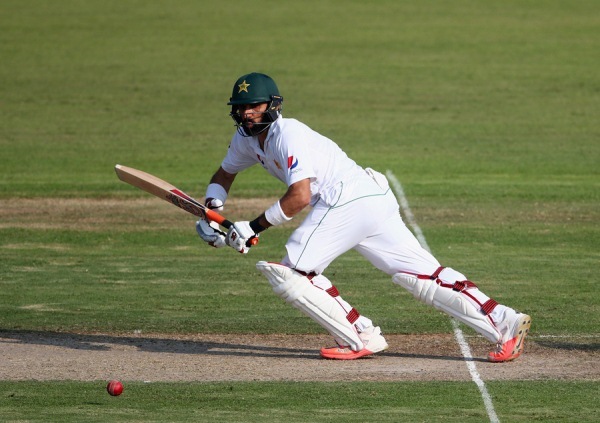 Misbah has so far captained Pakistan in 53 Test matches, winning 24 and losing 18. His winning streak of 24 Test victories is the best among all captains. As Misbah embarks for his last Test series, I hope that he ends his career on a high note by becoming the first Pakistani captain to win a Test series in the Caribbean islands. Misbah and Younus have both proved to be thorough gentlemen throughout their careers, especially by consistently playing the game in its true spirit, never arguing with the umpires, and never letting their temper get the better of them. Despite the fact that their age is catching up to them, they have maintained themselves to be fitter than many of their younger contemporaries. Since Pakistan has almost no concept of retirement from cricket, and many senior players have been dropped from the team due to the same reason, Misbah and Younus are setting a precedent for future cricketers by taking a timely retirement. Like all good things must come to an end, the career of Misbah and Younus will do to, and with their retirement, a golden era of Pakistan cricket will be culminated. The void left behind by these two brilliant players will be difficult to fill.